Essays are mandatory in colleges. In fact, you will have to write several of them for each of the subjects that make up your course. Professors use the essays to gauge the students’ understanding of the concepts taught in class, and the students are required to use their lecture notes, textbooks, and other research materials to deliver the best papers. Essays have a huge role to play in a student’s overall grades, and this makes taking the time to write the best essays very important. Essays, however, are not rated just on their relevance to the subject matter. Other aspects such as proper diction and the ability to communicate one’s ideas smoothly influence your score as well. To help you in this regard, here are 4 essay resources to help you produce academic papers of the highest quality. An essay is basically a combination of words that communicate an idea. Getting your words right is, therefore, very important so as to ensure you communicate the ideas in your essay effectively. Using a word wrongly or using a wrong word all together can interfere with the quality of your essay, and this makes looking up the exact meaning of the words that you find difficult very important as you write your essay. Students can rely on Longman dictionary to get the exact meaning of the words and phrases they find challenging. Longman dictionary doesn’t just tell the meaning of a certain word or phrase, it explains how that word or phrase can be used in a sentence, and this helps a student to better structure their essays. This is another online resource that is helpful for students as they write their academic papers. Sometimes, a student is not sure whether he or she has used a particular word in the right way, and when this happens, you can check it with the help of corpus. Corpus has almost all the words that make up the English language, and you can use it to check the meaning and the right way to use these particular words in a sentence. When writing academic papers, students are required to come up with strong thesis statements that summarize the entire essay. Your thesis statement should be powerful enough to capture that attention of the reader, your professor, in this case, and get them excited about the rest of the essay, and this online tool will help you produce great thesis statements for your essay. You have to provide the topic and supporting arguments to generate the statements. Students are required to support the arguments in their essays with relevant scholarly sources. The students are also required to cite these sources in a certain way. Finding the right references and citing them accordingly can be quite challenging, but with the help of this online resource, you can effectively provide the references for your essay. All a student needs to do is to provide the relevant parameters, and Citation Machine will generate the references on its own. You will get a poor score in your essays if you ignore little things such as the proper word usage and references. Use the above-mentioned tips to improve the quality of your academic papers. 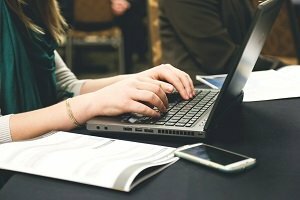 Essay Writing USA: Are US Helpers Always a Better Choice Than Foreigners?